Were off!! Jumping In the car I said “ finally were going to splash planet”. On our way there we stopped 2 times for morning tea and lunch. Finally reaching splash planet I quickly jumped out of the car and ran in line. First I quickly got changed and jumped In to the never ending river. Its just like a normal river but with way cleaner water. Moving on to the slides . First I went on the donut slide , this slide Is when you sit on swimming pool rings that make you go really fast and then a the end you end up tipping over. 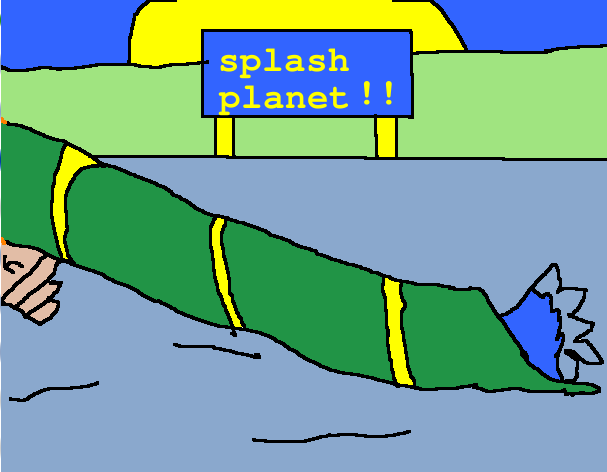 You might not know but splash planet Is just like rainbow end but with water , so Its just like rainbow end water theme park. At the end of the day I really enjoyed my self.I had so much fun and I am sure that my family and I is going to be there some time around next year.